Organic Gift Hampers from Special Occasion Gifts incorporate some of the finest products on the market. Want to build your own Organic hamper? Contact our team! 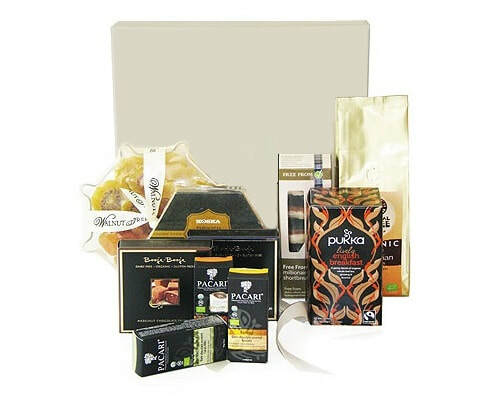 If you're after an organic hamper or gift pack for someone special, then one of our hampers containing English Breakfast Tea, Colombian Fair trade Coffee, Truffles and other delicious and tempting treats are just the ticket! If you would like a bespoke organic hamper for someone special, then contact our team! Need Help Choosing an Organic Hamper? If you need some help choosing a hamper of gift basket, we can help! Either call or email us and we will try to point you in the right direction.